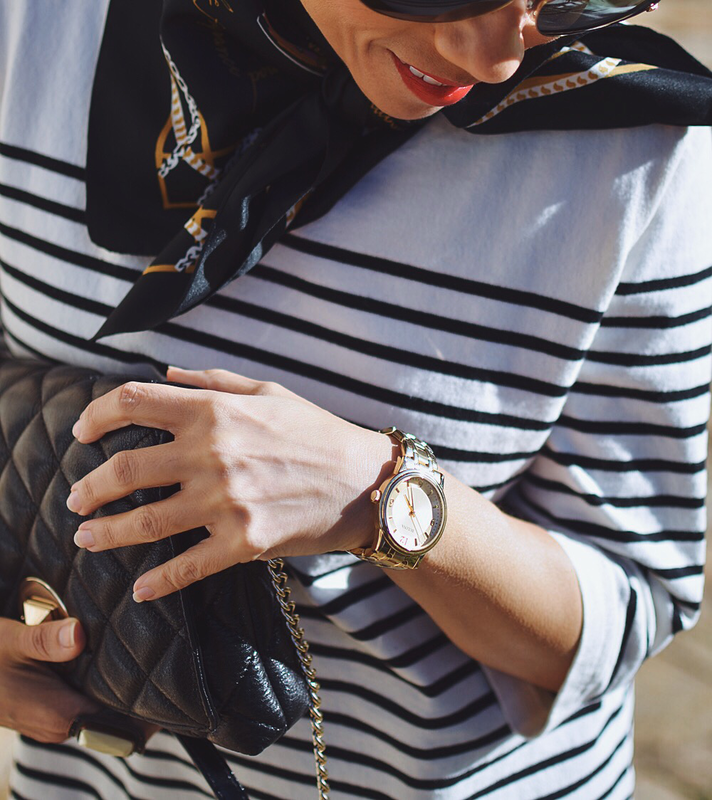 If there's one print that most of us probably have in our wardrobes, it's the classic Breton stripe. This style was introduced in 1958 as the uniform of the French navy. Eventually Coco Chanel took notice of this print and incorporated to a nautical collection back 1971. Nowadays, you can see this print not only on cotton shirts, but also in dresses, pants, hats...you name it. My look for today was inspired by that Navy French boy. Instead of wearing the classic Breton shirt, I'm wearing a tunic with this classic stripe over a simple pleated shirt. 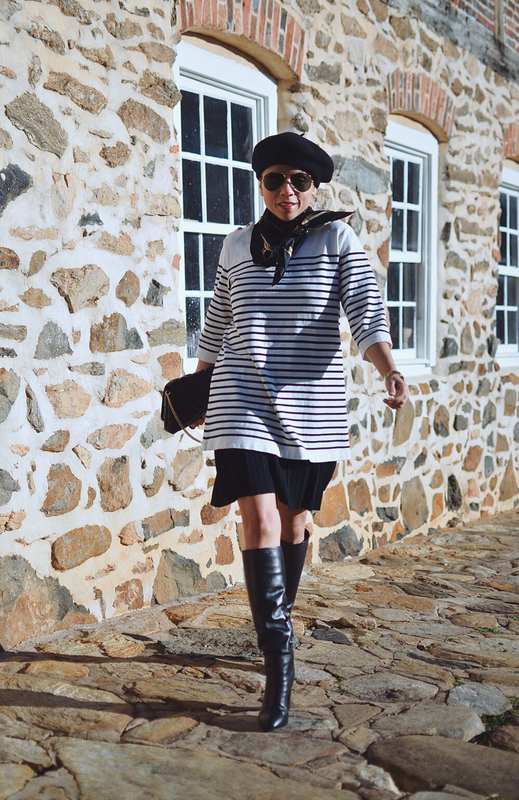 I accessorized this look with a few French-like pieces in order to complement the Breton striped tunic. 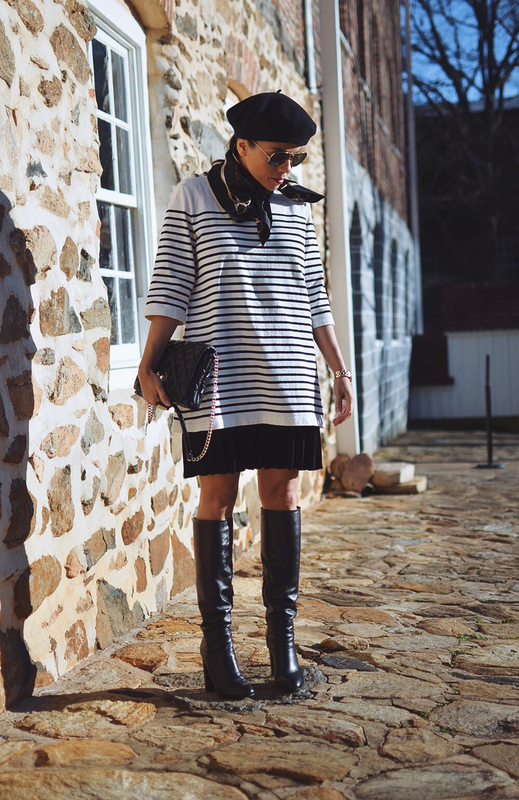 Tunic: J. Crew (old). Similar here . Boots: Luciano Padovan (old). Try these Chloe and on sale. Scarf: H&M (old). Similar style here. Watch: Bulova. Another gold Bulova here. Oooh la la! 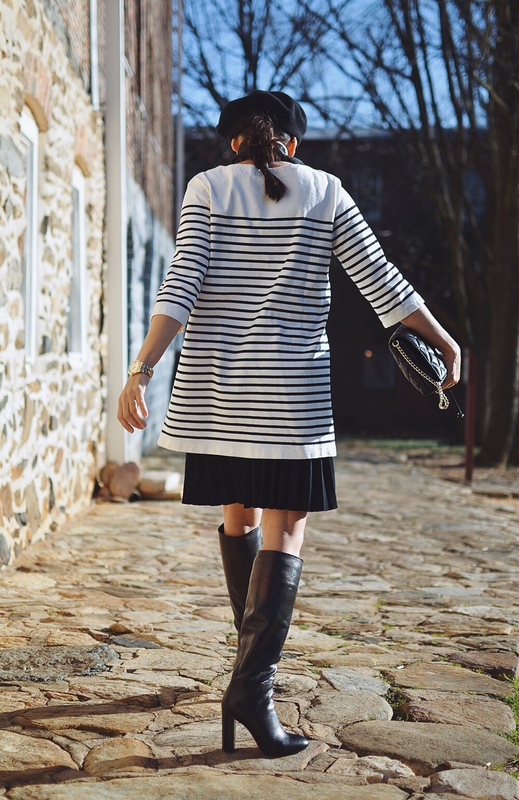 Tres chic, but still fun Carelia! Thanks, Sue!! Glad to hear from you.